Khloé Kardashian Shares Latest Pic of Baby True! Home Headlines Khloé Kardashian Shares Latest Pic of Baby True! Khloé Kardashian took to her Instagram on Monday and posted an adorable snap of her daughter on her Instagram Story. Khloé Kardashian — who welcomed her first child, daughter True Thompson with her NBA player boyfriend, Tristan Thompson, on April 12 — shared a new picture of her almost 2-month-old baby girl. The 33-year-old Keeping Up with the Kardashians star took to her Instagram on Monday and posted an adorable snap of her daughter on her Instagram Story, in which baby True smiling as her star mommy held her toward the camera. 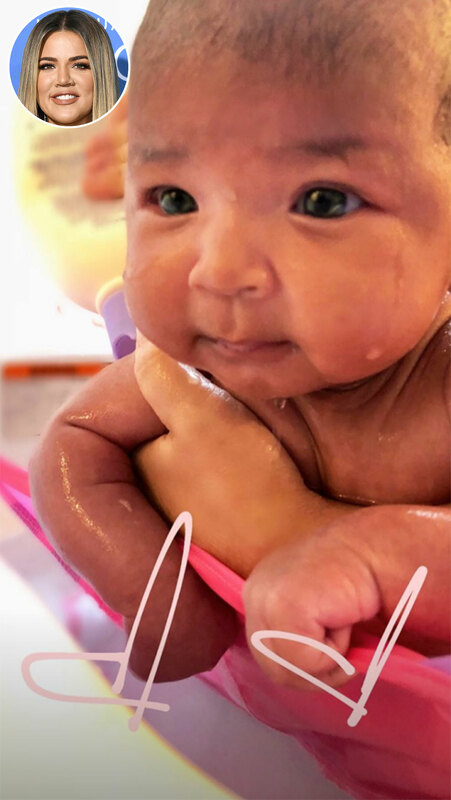 Baby True’s extremely cute bathtime photo came as pictures of her star parents outing for a date night surfaced. The Good American mogul and NBA star stepped out together in Cleveland, Ohio, on Saturday to celebrate their pal’s birthday at the Marble Room Steaks and Raw Bar. The new mom was dressed up in a black top and a tan hat, while the basketball player wore black and white Givenchy sweatshirt and a black baseball cap. The high-profile couple remained together despite Tristan’s cheating scandal. Khloé recently shared a birth chart of her daughter, which compiled by Susan Miller of Astrology Zone, the star went on to explain that Pisces, Aquarius, and Aries are all prominent in her personality. 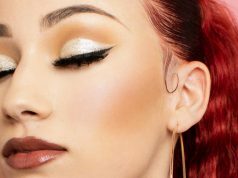 The Revenge Body host explained, “True will do really well in college and may go for advanced degrees at the best schools.” She added that baby True potentially favoring a career in writing field or film industry. The KUWTK star shared an adorable video of baby True last week, in which baby True was dressed up in a full ballerina outfit with matching pink tulle skirt, bow, and socks.